Any direct successor for the R17 is dead; long live Reno. This is the main message of an interview given by OPPO's CEO, Shen Yiren, that took place after the launch of the latter earlier this week. Accordingly, this new brand, in conjunction with the new Find Z, will pick up where the R-line left off. 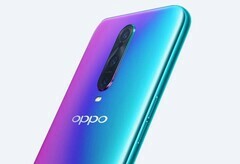 An earlier report suggested that there would be no OPPO R19 released in 2019. This device would have been the successor to the R17 and its Pro variant. Those phones had impressed many last year, as they were early adopters of the waterdrop-style notch, triple cameras and the new generation of VOOC, the OEM's proprietary fast-charging solution. However, it has recently been confirmed that this line of OPPO devices is no more. Shen Yiren, the company's chief executive officer, affirmed that this was the case in the course of an interview. This interview took place shortly after the launch of the first devices to be release under the new brand Reno. These phones, then, are to replace the R series in the future. This is something they may do so in conjunction with the rumored OPPO Find Z. It is a shame to see the OPPO Rs go, as they were often the focus of interesting features and innovation at the OEM. Then again, there is no reason why their various Reno successors should not be capable of doing anything they would have done.